Selling my complete original Star Trek series. 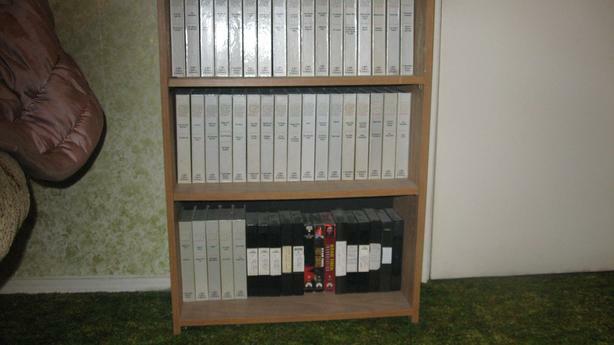 All 79 episodes in VHS format. All beautifully boxed with 2 episodes per box. Plus Star Trek Books, original movies, one only CD of Star Trek Next Generations Nemesis. Also complete deck by deck blueprints of the Enterprise D. Sell as complete set, no breakups. Asking 200.00. Includes 3 shelf bookcase. This price. IS NOT NEGOTIABLE.